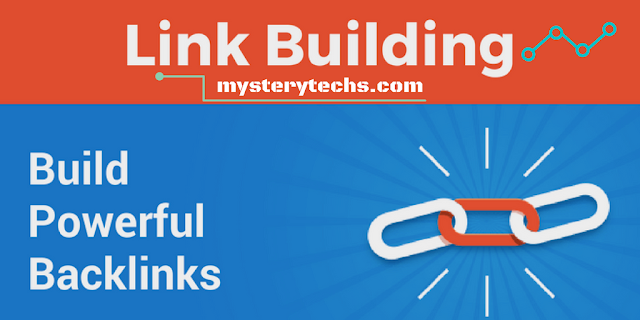 Home Backlink blog blogger by sujeet kumar How to Mystery Techs SEO tech Master The Skills Of How To Create Powerful Backlink For Your Blog And Be Successful. Master The Skills Of How To Create Powerful Backlink For Your Blog And Be Successful. If you are a blogger and you think to make your own blog and site, this trick absolutely works for your blog and site. When ever we talk about SEO, we divide it into on site and off site SEO. Off site SEO mainly contains backlinks and social signals. Specially, to boost your ranking in SERP’s you need to get quality links from other authority sites. *Interlink to your blog and other posts on your blog when writing on your blog. *Exchange links with other bloggers in your niche. Make sure to form link pyramid and keep it natural. *Write a mail to influencers who write on the same topic and encourage them to share it on social network. You never know how much one sweet email can make a huge difference. *Network with other bloggers in your niche (Online and offline) and links will automatically follow you. *Submit your website to local business directories, backlinks from these sites are regarded by Google as authority. *Write on about.com and link to your blog in it, this will likely be crawled and used by a lot of websites thereby increasing backlinks to your blog. *Make effective use of April fool. *Do very costly jokes on your blog but indicate it is a joke underneath the post (tricky? ahah! ), e.g., “Apple has bought Google for $260Billion”, something like this will get tons of links and retweets before people even know that it is a joke. *Create niche specific tutorials, which are not only unique but help the community. Such tutorial articles get lots of backlinks. Good informative post you shared, appreciate your article. Thank you for sharing.